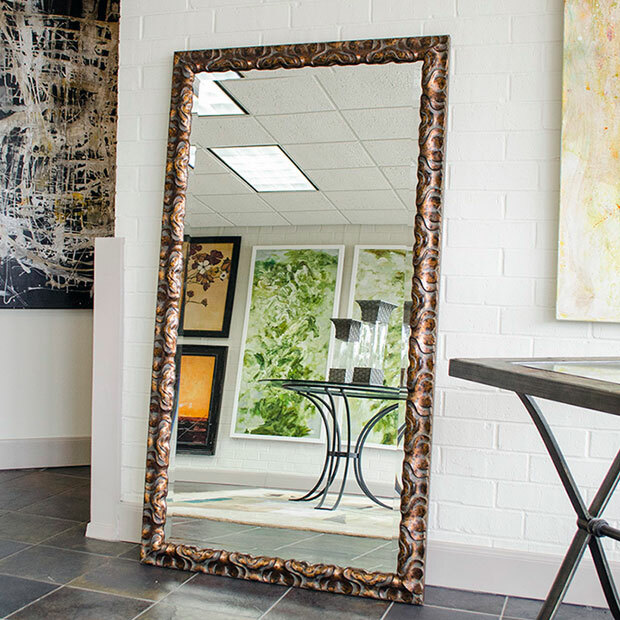 Buy the exact size you need for a framed mirror to brighten up your home or interior design project. 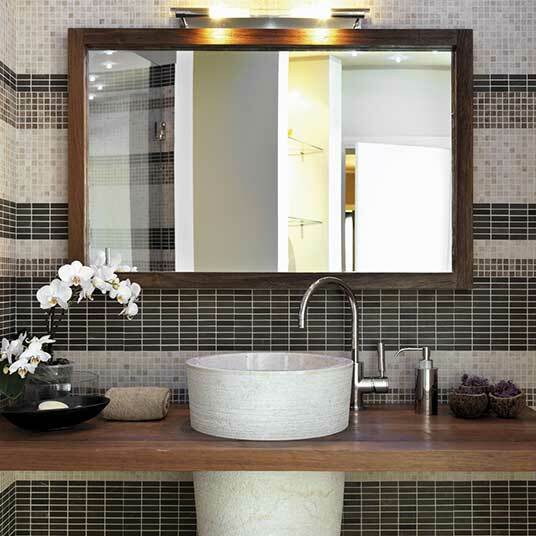 All of MirrorLot mirrors are custom built and framed by a team with over 30 years of experience. These large custom framed mirrors can be used as bathroom mirrors, decorative mirrors, floor mirrors, full length dressing mirrors, entry mirrors, fireplace mirrors, modern & contemporary mirrors, or just as a huge leaning wall mirror. Every mirror from MirrorLot goes through a meticulous quality control process to ensure our high quality standards are met. The quality you see in our mirrors are far more superior than those imported mirrors you often see online or in retail stores. Our works can be found in top hotels and real estate developments all over the country. Not too many companies or manufacturers in the country can offer the massive mirror size and shipping convenience that we can. 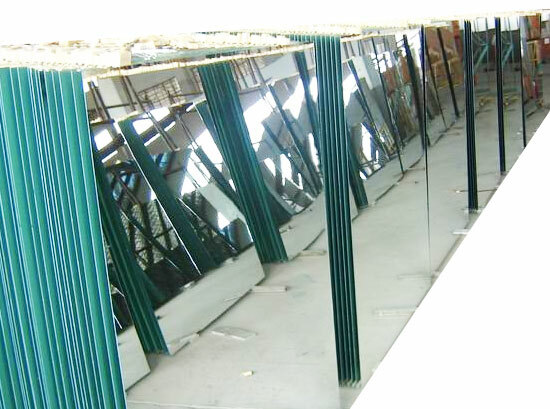 We can build and ship mirrors up to 100 inches (8 feet) high or wide. Select your mirror width, mirror height, and frame style for your unique space and have it delivered to your door step. Buying a custom mirror has never been faster and easier. We can accommodate any size order, whether it’s just one mirror or 50. We can customize the mirrors in different sizes and matching assorted frames, for an interior design project or real estate development project. Your mirror is shipped in a special designed box just for shipping mirrors. These special shipping boxes and padding material for mirrors have been through many rigorous testing processes developed by our partnership with FedEx and UPS. 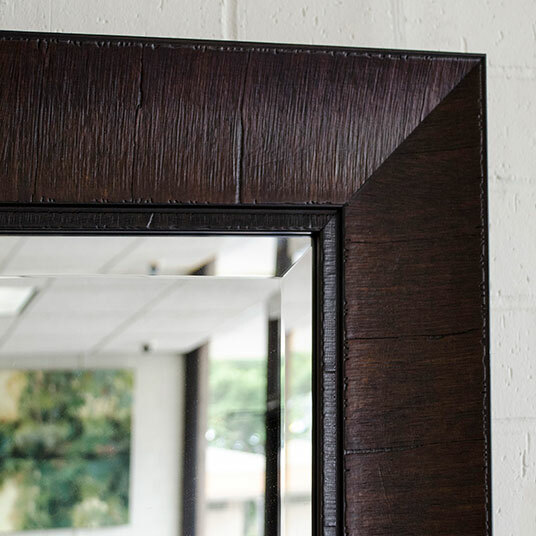 We custom cut, custom frame, and ship your mirror in 7 to 10 business days. The mirrors are manufactured in our 23,000 square feet facility in Houston, Texas, USA.